"Waaa! Gisele told me she would wear a short sleeve hoodie & my Ugg boots tonight if I was home before 9. Quit blowing your whistle! I'm gonna miss it!" 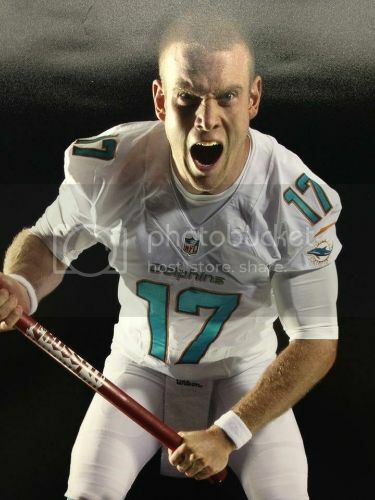 He is no Ryan Tannehill , that is for sure. Somebody's always gotta start a debate. My baby niece does that same thing when she doesn't get chocolate milk. Wouldn't call it fire. I'd call it crying when crap doesn't go your way. biggest crybaby in the league. Put a pink skirt on him, cuz he whines to the refs whenever he or one of his receivers gets touched. How I wish he had been Miami's Qb for the last decade. Oh please , these debates have become so typical from fans like us whose team has not done squat in a friggin decade. We cling to these meaningless victories from our rivals to replace our own ineptness. A few years ago it was so something so silly when the Jets were going to AFC championship games. Both Sparano & Ryan lost weight , Sparano by diet & exercise , Ryan by surgery but it was written here how our coach will not take the easy way to do anything , what a class guy. Until a few years later when he was booted out & became coach fist pump. Give me the guys with the fire , with the attitude , with the cockiness because we need something different here that seems to work. Yeah Brady is a whiner , would you not give up all the wannabes at the QB position we have had over the same time for him. if he was a Dolphin you would love the fire just like you would if Ryan was our coach. You know its late December because once again we are out of the playoffs , ragging on our rivals for the most stupidest of stuff while sitting on our couches watching other teams have a chance for a championship. But once again we cling to hope this time of year ... like all the others because upside & potential will come our way this draft not to mention every free agent has ties to Miami & wants to play for Miami. Now I know in that game Brady led his team to 28 4th quarter points to tie but to eventually lose , I know Tannehill would have done the same but would have sealed the victory , I get it , its time to kiss Tannehills a$$ I guess. But he had better win & soon because all the brown nosers will be onto the next hot college QB in the draft while Tannehill will become a whiner , sinking him into a low class of QB with the likes of Tom Brady. Nobody is more passionate about winning than Brady. I respect him for that more than any other player in the NFL. I don't know about all that. Peyton is probably a more driven player & person. & when things don't work out you can see how pissed he is but he doesn't throw fits like Brady. Sure they both want to win but Peyton still looks like a man if he loses. Not sure why you guys are making fun of him. I have a great deal of respect for Tom Brady, and I'd give my right nad if we had him as our quarterback the last 10 years, but I also enjoy it when the defense puts him on his rear end. I hope to see a lot of hissy fits in next week's game. I wish Tannehill had half that fire. I love that about Brady. I really really hate hating the guy. Easily the easiest guy to root for in the league (or would be) if it wasn't for the team he plays for. He's making fun of him because that's what haters do. Such a pointless thread to create. I love that kind of fire though. That's why Marino was my idol. Last edited by Rock Sexton on Mon Dec 24, 2012 8:45 am, edited 1 time in total. I make fun of him because he is a baby. The N9ers took a timeout and he flung his arms and screamed and cussed. He should have been penalized for unsportsmen like conduct. That's what would have happened to anybody else. I can't respect a guy who has ungodly good talents and takes part in filming others practices and cheating to give him an edge. I can't respect a guy who throws sissy fits like that when a certain play doesn't go his way. You keep calm and stay focused and maybe you do that crap in the huddle to your players to light a fire, but at least be a man about it. That's why I make fun of him. lol@ Brady cheated. Yeah, I am sure his leadership; all those passes he completes, touchdown throws spot on are all because of cheating. Kev, I am guessing you are being sarcastic? 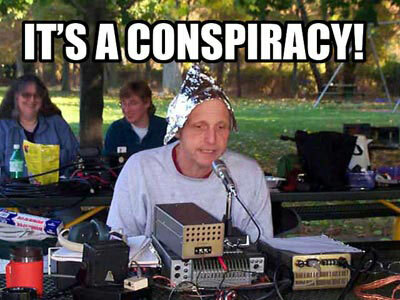 You can draw your own conclusions but these guys get every call in the book. When Brady doesn't get the call he likes, he cries like a freaking 2 year old. What I can't believe is after a decade of unchecked cheating why any human being would defend these pieces of excrement. It is Patriots freakin' week and you have whiners on here who can't handle someone razzin' Tom freakin Brady?!?!?! Give me a break. More than un checked. God-dell destroyed the evidence, never to be seen by the public. Thanks to the NFL flex scheduling, the Patriots will have the benefit of knowing the result of one game that could open the door for them to seize a top-two seed in the AFC, as the Houston Texans kick off with the Indianapolis Colts at 1 p.m., more than three hours in advance of the Patriots' game (which was flexed from 1 to 4:25 p.m.). A Colts win would make it simple for the Patriots: Win and clinch a top-two seed while retaining a shot at the AFC's top seed (which would require a Denver Broncos loss to the Kansas City Chiefs in another 4:25 p.m. game). If Houston beats the Colts does the game mean anything to the Patriots? Maybe they sit Brady & and few others while we could pad our wins. Id rather them put brady and all their starters in. Maybe we can damage them before the playoffs and ruin more then just a game. Sun Tzu (sp?) the art of war - BB lives this code. Miami would do well to adopt it. I would take P.Manning over Brady in a heart-beat. Brady has talent, but I don't like him. Peyton has talent AND a good personality. Sorry but anybody who is questioning Brady's personality/leadership and drive has no idea what they're talking about. Brady has earned EVERYTHING he has. There's a reason he went from 6th round pick to what he is today. His team cheated for 8 years..And hasn't won a superbowl since...Oh ya his playoff numbers since being caught cheating tell the story. Never mind what the officials have done for them. He was like 14-1 in the playoffs at one time. He is like 16-6 now. I agree that the cheating mattered. Can't believe how the league just brushed it off. They beat teams that were clearly better than them at the time. He is certainly no Tannehill.